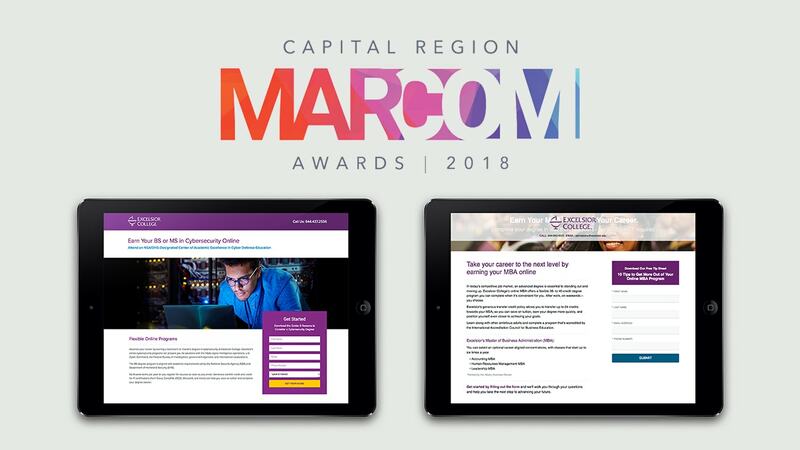 SCHENECTADY – The Martin Group received two awards at the 2018 Capital Region MARCOM Awards competition, held Wednesday night, November 14th, at the GE Theatre in Schenectady. For third consecutive year, the New York Capital Region Chapter of the American Marketing Association and the Public Relations Society of America Capital Region, NY Chapter combined ­to recognize excellence in marketing and communications. Categories included digital marketing campaign, integrated campaign, marketing campaign, public relations campaign, printed publication, video, and website. These awards represent the first regional accolades for The Martin Group since opening its new office in New York’s Capital Region earlier this year. 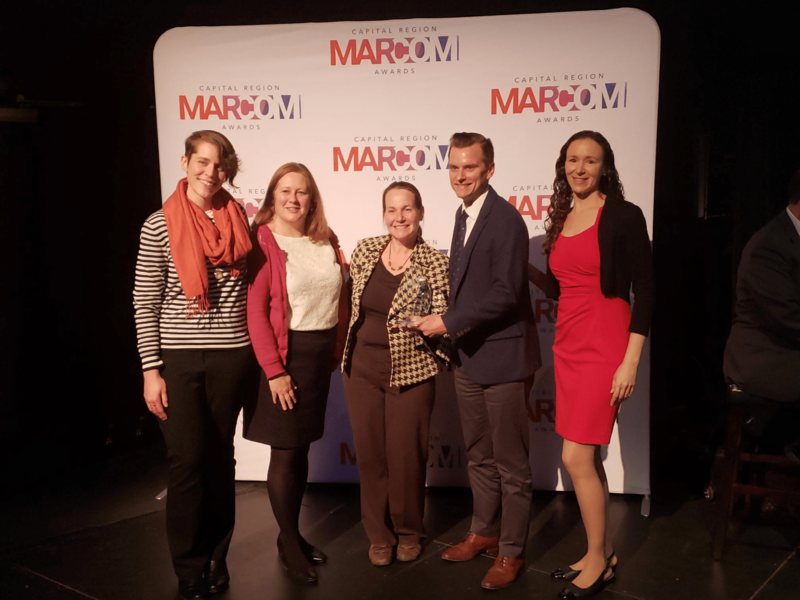 Wednesday’s success at the MARCOM Awards also builds on The Martin Group’s recently earned international recognition from the 13th Annual W³ Awards for work on three separate campaigns. Additionally, The Martin Group earned a Silver Anvil Award from the national Public Relations Society of America (PRSA) for its work with John R. Oishei Children’s Hospital, as well as 14 awards as part of the PRSA Buffalo Niagara Region Chapter’s Excalibur Awards and five honors in the PRSA Rochester Chapter’s PRism awards.